The matt Color Biggie with amazing long durability gives intensive mattified lips around the clock! It makes your lips appear visibly fuller so that your look runway ready always! Especially smooth texture with rich color. Leaves a very intensive matt effect. Waterproof and long-lasting: durability of up to 6 hours. No deposits in the creases of your lips . 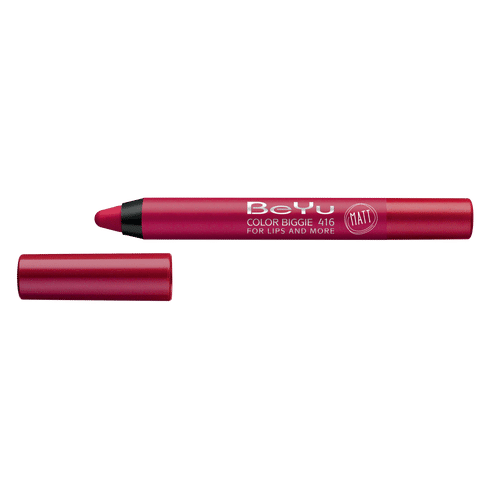 Alternatively, you can also find many more products from the BeYu Color Biggie For Lips And More range.